Plants grow preferably where they find the food they need in an environment at which they are adapted. 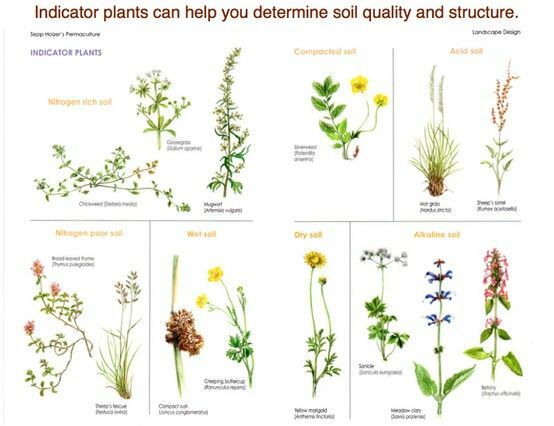 By examining which plants occur on the soils, you can also think reverse. In a non- disturbed environments (by soil cultivation, herbicide,..) the naturally-occurring plants, may give an indication of the soil. Do not take conclusions on one example, but several healthy plants of the same species. They can give an indication regarding nitrogen and fertility, water management (or drought), soil structure and acidity of the soil. This form of biomonitoring is also used to keep an eye on health. (?) of shoulders alongside highways. Compacted soil These herbs indicate that the soil is compacted by trampling or after working with heavy machinery.